As you all know, 4K is a 3,840 x 2,160 resolution for monitors and TVs. For digital cinema, 4K is a slightly different 4,096 x 2,160 picture resolution. However, 4K is more widely recognized as an Ultra HD 3,840 x 2,160 VDU (Visual Display Unit) resolution. The 4K resolution provides a much more detailed and sharper picture than 1,080p on larger monitors and TVs. The 4K resolution isn’t really something new anymore. The 5K and 8K (7,680 x 4,320) resolutions have now eclipsed 4K. As such, there are quite a few Windows media players that support the 4K video resolution. These are some of the best media players that you can play Ultra HD 4K videos and movie streams with on Windows 10 PCs that support 4K playback. CyberLink’s PowerDVD Ultra 18 is a Windows 10, 8 and 7 media player optimized for Ultra HD Blu-ray Disc playback. There are three alternative Ultra, Pro and Standard versions of the software that are retailing from $69.95 to $39.95. PowerDVD Ultra 18 is the best version that supports the full range of video disc formats, such as 4K Blu-ray Disc, DVD, 3D, ISO, 21:9 aspect ratio playback, AVCHD and 3D DVD. Note that the PowerDVD Standard and Pro versions don’t support 4K Blu-ray Disc playback. It’s not entirely surprising that PowerDVD Ultra 18 has been getting rave reviews as it boasts a great feature set. The software provides unique TrueTheater enhancements that boost color, lighting and sound in videos for better picture and audio quality. PowerDVD Ultra 18 fully supports virtual reality and 360-degree video and includes a VR Mode for the HTC Vive and Oculus Rift headsets. Even if you don’t have a headset, you can still watch 360-degree videos from all angles by selecting the software’s Tri View Mode. The tool enables users to cast video, photos and music from PC to TV with the FireTV, Apple TV, Chromecast and Roku media streamers. If that isn’t enough, the media player also plays online 4K, HDR, 360 and 3D-360 Youtube and Vimeo videos. The Media Library is another notable addition to PowerDVD. That automatically imports all your videos, photos and music files. So you can also utilize the software to play photo slideshows and music as well as video content. The Media Library also includes a new Mini View that plays videos in a miniature window when you switch between software. With its Media Library, PowerDVD Ultra 18 is almost a media center. Blu-ray Disc is one notable input media that VLC doesn’t directly support. If you need a media player that plays Blu-ray content without any hiccups, Aiseesoft Blu-ray Player is a better choice than VLC. 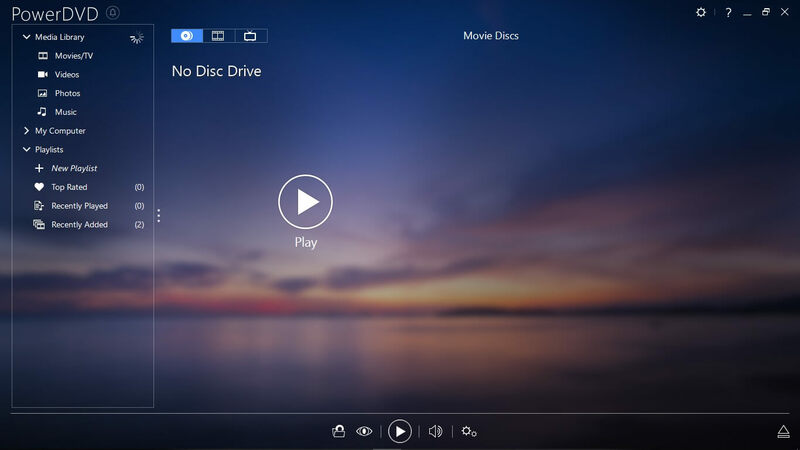 That media player is optimized for 1080p Blu-ray playback, and it also supports 4K playback for MOV, AVI, MKV, FLV, WebM and MP4 video formats. Aiseesoft Blu-ray Player is compatible with all Windows platforms from Windows XP up, and it is currently retailing at a discounted $31.5 on the publisher’s site. The Aiseesoft Blu-ray Player is a sleek and straightforward video player to utilize for Blue-ray and 4K video playback. The software boasts lossless audio playback and HD surround sound for crystal-clear video audio. Aiseesoft Blu-ray Player also loads discs and video files very quickly. It doesn’t include a huge amount of configuration settings and features, but users can still customize the playing effects, the video playback time and media player’s skins. With an abundance of 10-bit HDR & 4K Ultra HD video content, the world is looking for an authentic and efficient media player that can give a smooth playback without any blurriness. CnX Media Player on Windows 10 aided by Intel based hardware acceleration is an incredible choice to enjoy a phenomenal visual experience. Plays all video formats – MKV, TS, AVI, FLV, MP4, MOV, webm & others. 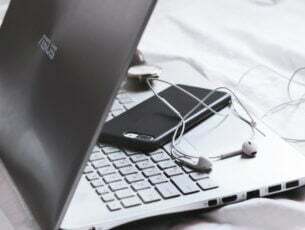 Less battery consumption, due to incredibly optimized implementation of Intel Hardware Acceleration (HW+). Safe installation – Microsoft Certified UWP App. Protects Graphics Card (GPU) – Playing 4K content on devices is GPU intensive and produces enormous heat. 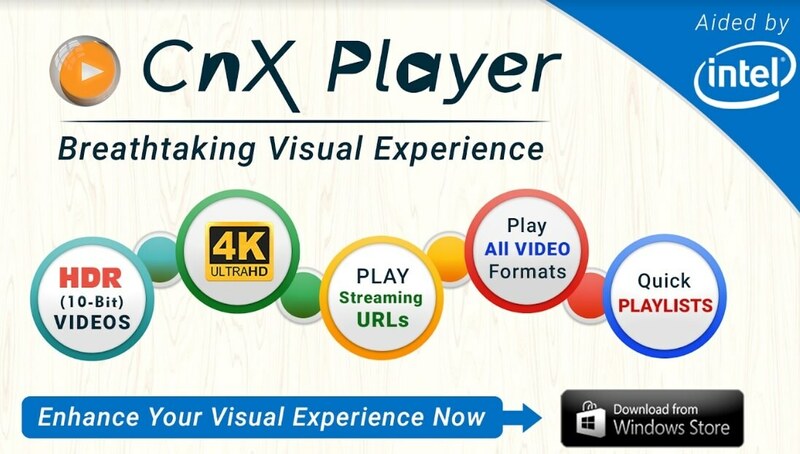 CnX Player algorithms are designed in the best way to take care of device hardware and provide the best visuals. Play & browse media gallery together – No need to stop video to browse gallery! Natural & intuitive gesture controls – fast fwd, rewind, skip, volume control & many more. So, if you are a person who loves watching movies in highest of its quality, CnX Media Player is the best choice! 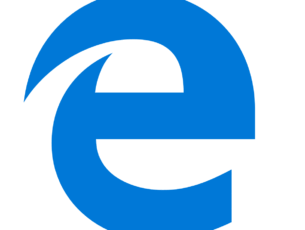 Cnx is a cross-platform media player and it’s available on Windows 10, Android and iOS. If you’re looking for a freely available 4K media player, VLC is certainly one worthy of note. 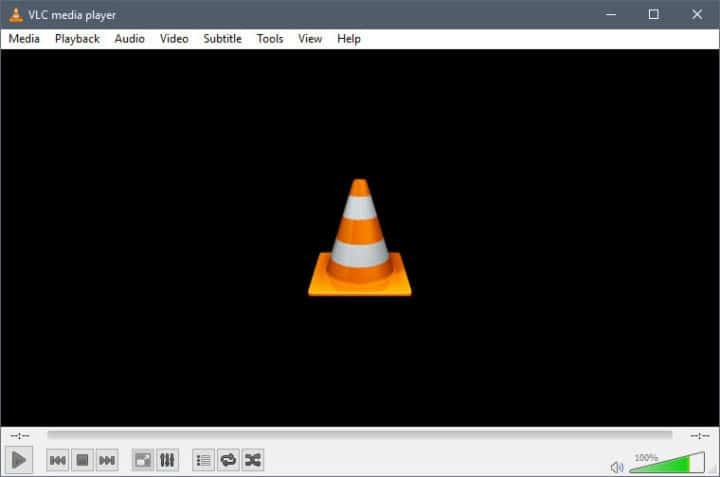 VLC is an open-source media player that’s compatible with Windows platforms from XP to 10, Mac OS X, iOS, Android and Linux. To add VLC to your Windows laptop or desktop, click Download VLC on this webpage. VLC is one of the best 4K media players as it plays almost all video and music file formats without users needing to install additional codec packs. You can play a whole host of input media with VLC, such as DVD, CD, SVCD, DVB for digital TV, VCD and numerous streaming protocols. The latest VLC 3.0 comes with hardware-acceleration support for 4K videos and supports 8K playback. VLC is undoubtedly one of the most customizable media players that includes a slew of settings for customizing video playback, audio, subtitles, hotkeys and the software’s UI. Furthermore, there are also a wide range of plug-ins and skins for VLC that users can further enhance the software with. 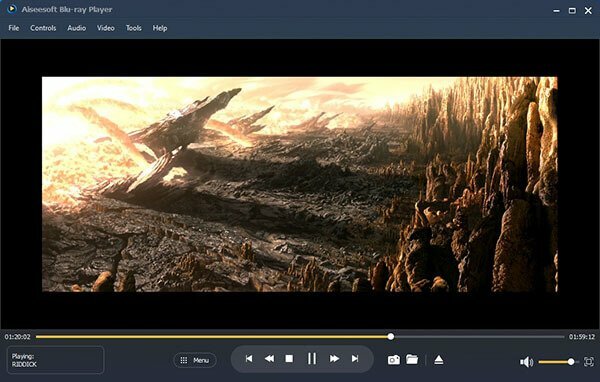 KMPlayer might be a little overshadowed by VLC, but this is a 4K media player that packs in myriad media features and settings for video and music playback. 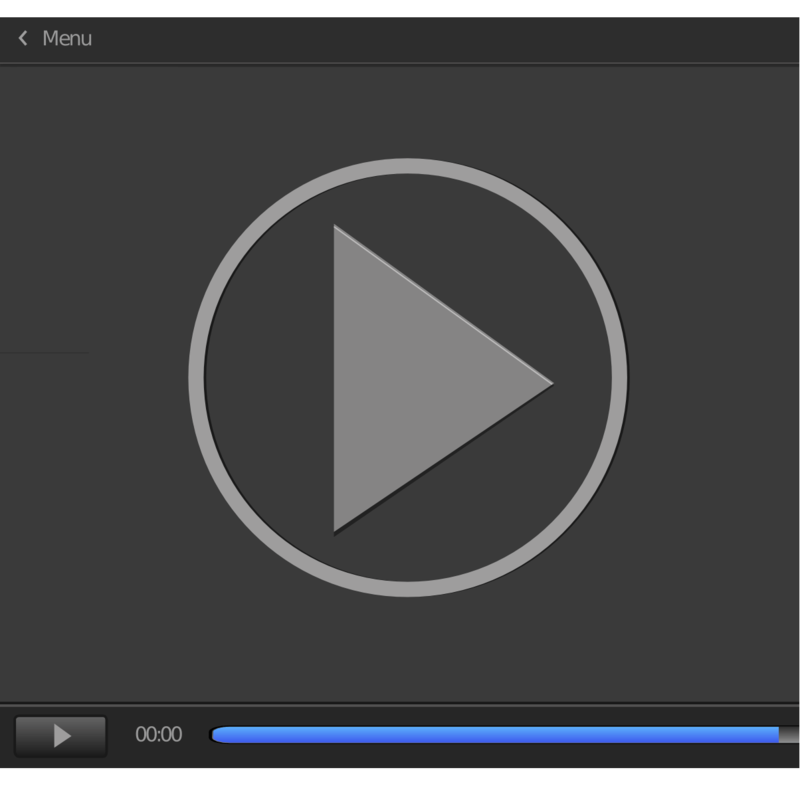 The media player is compatible with both Windows and Mac platforms. You can add the freeware KMPlayer to 64-bit Windows 10 by clicking 64 X New Version on this webpage. Alternatively, click the KMPlayer 32-bit button on that page to download the installer for the 32-bit Windows KMPlayer version. Like VLC, KMPlayer plays nearly all video and audio file formats thanks to its internal codecs. As the media player supports TV tuners, you can watch TV channels within KMPlayer. 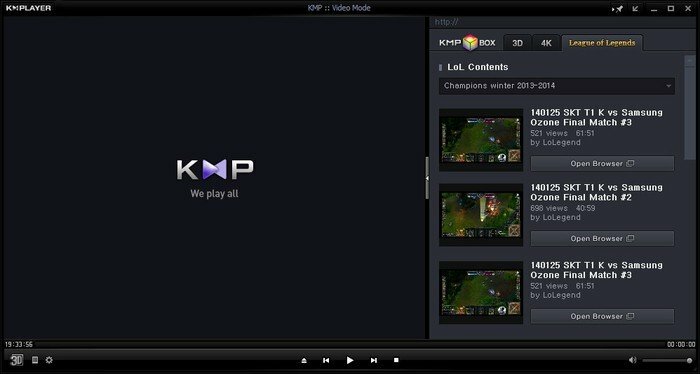 Aside from supporting 4K playback, KMPlayer also plays 3D video content and includes numerous 3D screen control and subtitle settings on its context menu. 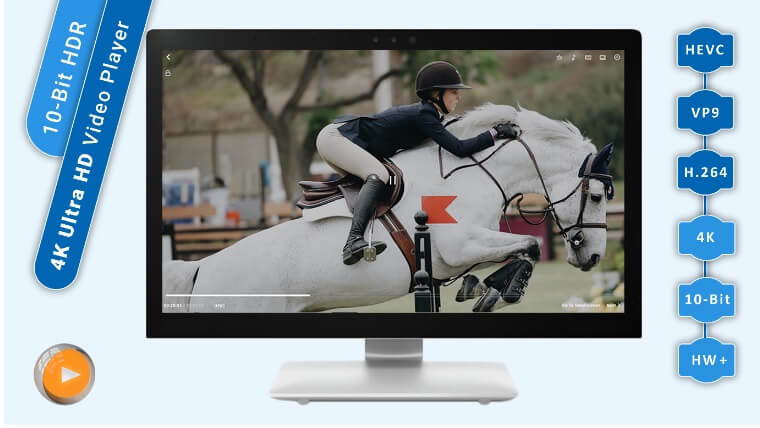 KMPlayers users can add motion blur, grayscale, soften, sharpen and other effects to videos via the software’s Control Box. The media player also provides a plethora of video processing and audio settings on its Preferences window. Service App is another great addition to KMPlayer that includes various apps. Those are apps that you can utilize within the media player’s window. For example, users can select to watch various 3D movie trailers and Discovery 3D World programs with the 3D Move Plus app. You can even play 2D games included within KMPlayer’s GamePlus app. 5KPlayer is, as the software’s title implies, a media player that supports playback up to the 5K (5,120 × 2,880) resolution as well as 4K. The publisher has optimized this software to provide the smoothest high-resolution video playback, which is a big selling point for 5KPlayer. 5KPlayer is freeware software that you can add to both Windows (XP to 10) and Mac platforms by clicking the pertinent Free Download button on this homepage. 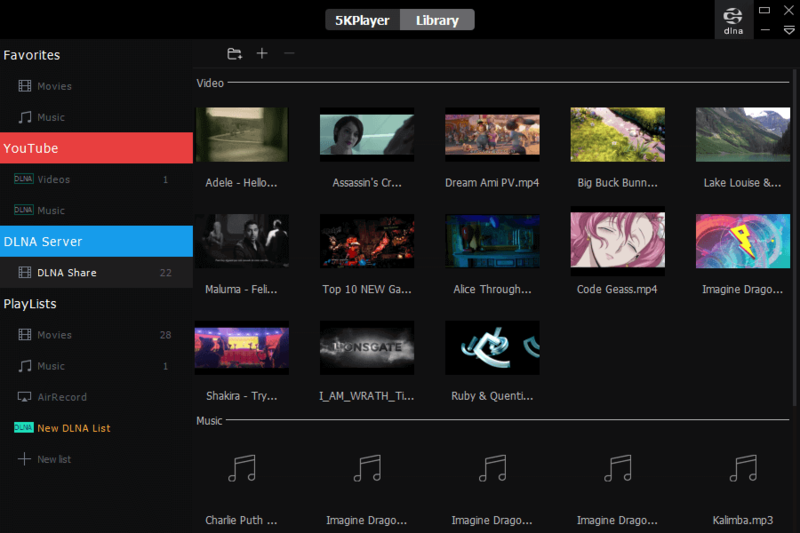 5KPlayer provides better 4K playback than most video players primarily because it supports Nvidia, DXVA 2.0 and Intel hardware-acceleration that boosts decoding for high-resolution video. The software also incorporates a HEVC decoder that enables it to play H.265 coded 4K and 5K videos at a high frame rate. Consequently, 5KPlayer plays 4K videos with very little stutter and lag. Aside from its smooth 4K playback, 5KPlayer includes some great media features. The software supports Apple Airplay so that users can stream audio and video files between 5KPlayer and iPhone and iPad devices. Another great thing about 5KPlayer is that it enables users to download 1,080p, 4K, 5K and 8K videos from more than 300 video websites. Users can also listen to satellite radio with the software’s built-in radio player that includes a variety of preset stations to choose from, such as BBC, Gold, Heart, LBC, Magic, Classic Rock and Capital. Those are five great media players that you can play your 4K videos with in Windows 10 and other platforms. Few other software can match the range of video options and media features that those media players include.